With this BCE 7Ft Deluxe Black Cat pool table you can take on friends and family whenever the mood suits, and really hone your pool playing ability to prove that you are the owner of the table! If you fancy being the next Paul Newman in Hustler, then with this table you can get your bank shots, "barny rubble's" and swerve shots mastered, and truly impress at the same time! 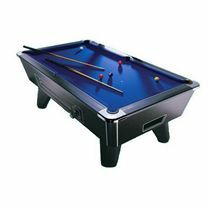 With a stylish design and robust construction this full size 7Ft American Style pool table features an end ball return system for ease of racking. 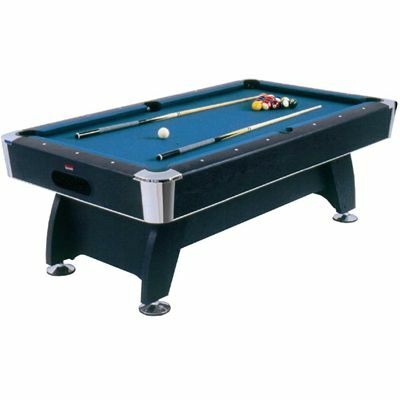 for submitting product review about BCE 7Ft Deluxe Black Cat Pool Table.